A very long time ago in the magical land of Zambia, Karen Herft was born to a brilliantly hilarious man and one of the kindest and most thoughtful women that ever walked the earth. Along the way she was accompanied on her journey by four fair maidens, sisters for life who always know how to listen with no judgement and laugh like there's no tomorrow. Karen's writing days really started at boarding school. In between climbing trees, being chased by cows and swimming in mud pools she never stopped creating stories – if not on paper then in her mind. It was not long after that she traveled to Sri Lanka, the land of her ancestors, and after a few years of getting to know the mother land she trekked (hopped on a plane) and set her weary feet on the shores of the land they call Australia. 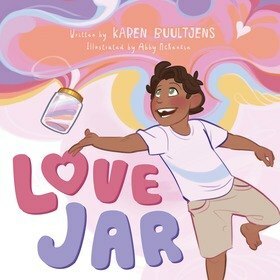 It was here in this beautiful land that she met her Prince Charming, Sir James the 4th, a.k.a best friend, changed her name to Buultjens and had two little princes who are of course the inspiration for her book, 'Love Jar'. 'Love Jar' tells the tale of what Karen has learnt in her life from all these wonderful people; that love comes in so many different forms. Some people like to show love through words and others through actions. It doesn't matter how it is shown as long as we don't miss that someone is giving us love, even if it isn't in a way that is familiar to us.